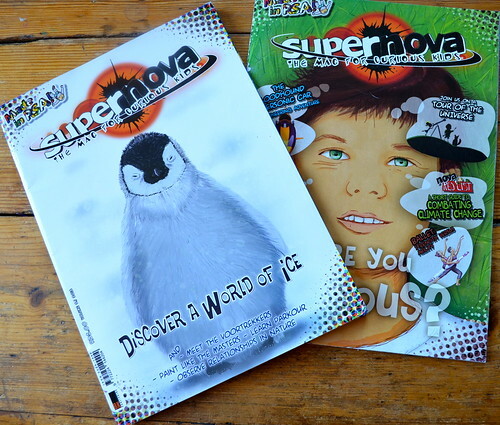 Let’s begin… with SuperNova the magazine for curious kids… a bi-monthly magazine aimed at tweens and teens… all I can say is a mighty: At Last… It is very hard to find a locally grown magazine for kids, especially one that is fabulous!!! I love that expectations are high and articles are anything but flimsy. Green living is cool, being safe is cool, reading about arts and science, history and ecology is cool… lots of great positive lessons between the covers. 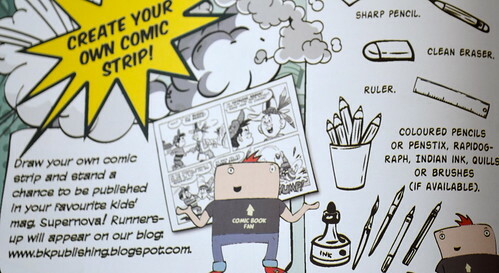 A great vibe: A really big “Learning is Fun” ethos, vibrant and packed with funky artwork. Clearly thinking kids are cool. HomeGrown: Love the “Made in RSA” stamp on the cover. 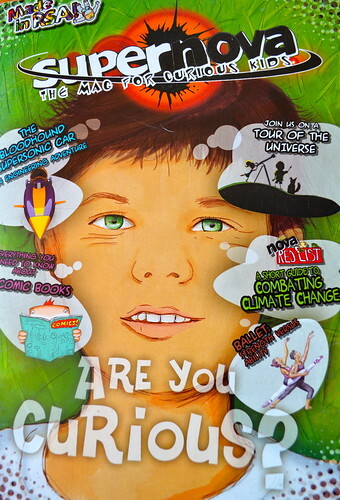 It is so good to find a local magazine that South African kids can read and relate to and enjoy, though by no means only South African kids!!! Heaps of Features: Lots of snippets to read, lots of activities and quick reads. 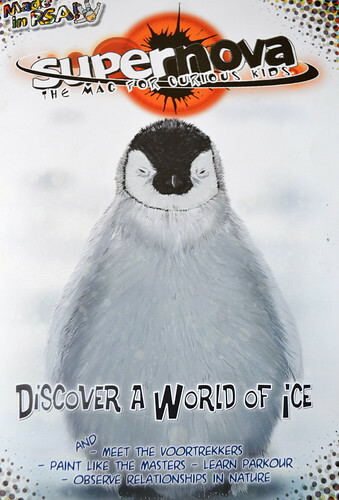 The Almanac Page: Of course we love this page… interesting days and events. A Page of weird and wonderful, awesome and incredible facts… and they mean incredible!!! Tons of Interesting Articles: It is packed with really good articles on a wide variety of topics… Articles are well researched, well written and and anything but boring… though a glance at the topics and you might think: “A little dry”… that’s where the well written and fabulous presentation comes into play. The Nova Red List Article: Is an Environmental article, like Climate Change. Lots of Eco Articles… Reduce; Re-Use and Recycle. Science Articles: An article on SuperSonic Cars… and how to make your own. All about the Ice-Caps and penguin origami. A Tour of the Universe: and lots of activities to try and think about while you read. Trendy Topics: Like Parkour, something our kids have been mad about forever – even discovered all about Parkour in South Africa. Dozens of Doable of Activities: Clear instructions and easy for kids to do on their own!!! How to make a sundial, a bird feeder, a rocket balloon car, candles… and tons of other ideas. It is almost Ad Free: I understand a magazine needs funding… but so many magazines aimed at kids this age are packed with “BUY-ME-NOW” ads, I was surprised at the lack of “in your face” marketing… The adverts that are in the magazines were more about environmental awareness… “WIn a water tank for your school;” “Write in for a fruit juice hamper” and so on. Our kids loved it: I can see that we will be ordering back issues and subscribing… simple as that – this magazine is stunning. This GiveAway works in the usual way, comment before the end of Sunday, 27 January and we will draw and publish the winner after that. I won’t respond to your comments as I do on our other posts because I don’t want to be included in our own giveaway. 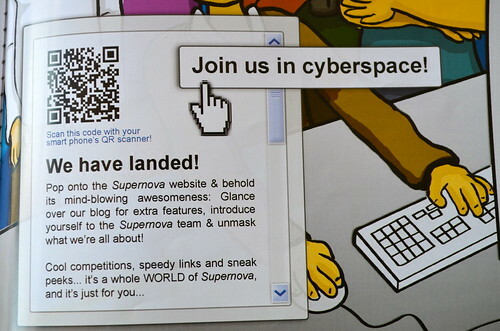 We received two copies of the magazine for free from Super Nova, in exchange for an honest review. We were not paid in any way and the opinions expressed were entirely our own. My children would love this, please enter me. This mag looks amazing. My little and I both want to read it! 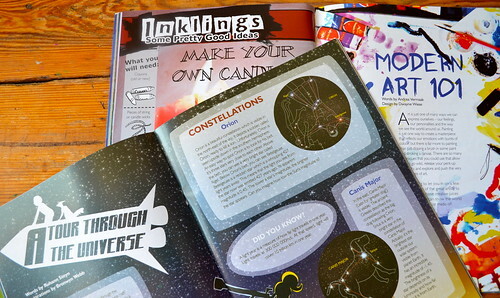 A magazine just for tweens and teens, YES PLEASE! Extra bonus if it came all the way from South Africa. What an interesting looking magazine! It looks perfect for my kids. Wow, looks amazing! My son would love it! Wow, please enter us for this, my children would love it. Enter me please. My twins would enjoy this. I’d love to win a copy to give to a friend. My 7yr old daughter subscribes and loves them. My son would really appreciate this mag. Thank you! o wow it looks awesome,have to get to those mags. My kids would love this! Count us in please!! When the world says, “Give up,” Hope whispers, “Try it one more time.” So, let me give it a try! This would be perfect for my boys – please enter us! My 13 year old son would love SuperNova! He’s not an enthusiastic reader generally, but is for science stuff! Thank you for your fantastic blog which I recently discovered. I’m so excited to start using Sonlight with our sons this year! Oops, never mind! I thought I was on the home page! This post was a year old… 🙂 I’m inspired to try to find a similar magazine here in the US. Blessings!